Cherish is a fashion wholesaler located in downtown Los Angeles. It distributes a variety of women fashion apparels from hundreds of manufacturers in the USA and beyond. Cherish targets the young independent and urban women that are looking for innovative, fashionable, and chic apparel. The wholesaler also stocks clothing for special occasions such as weddings and graduation ceremonies. 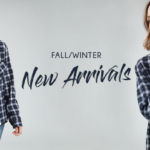 Ranging from the loose fitting, long sleeved piko style tops to turtle neck hi-low tops, Cherish has a variety of casual top that comes in different fibers, colors, textures, and sizes. Women have a choice of stretch woven and fabric tops of any of the above styles. For the women like trendy and new top arrivals will love the selection of fashion tops from Cherish. The tops include elbow dolman sleeves top, cold shoulder tops; sweater knit fabric tops, lightweight thermal fabric tops, silky round neck tunic styles and much more. Long shirts and blouses look stylish and trendy especially when worn with denim shorts or tight pants. Cherish has a variety of long shirts and blouses for every occasion. Common styles include the semi-fitted long sleeve button down shirts, fitted elbow-length sleeve shirts, and the boxy fit collared button-down shirts among others. Cherish tanks top range from sleeveless overlapped V-neck tank tops to sleeveless peplum tops, swing tops, scoop round neck tunics and so much more. The material ranges from soft fabric to knit and mesh-like. There are lots of stylish tunics at Cherish. Ladies have a choice of boxy fit long sleeved tunics that come with a c variety of prints, asymmetrical poncho style tunics., loose fit dolman sleeve hi-low dresses, V-neck poncho tops, turtleneck tunics among others. Each of the styles comes in a variety of fabrics and colors. Trendy jumpsuits come in scoop v-back jumpsuits, sleeveless fitted round neck rompers, some having draping, bodysuits, and many other styles. There is a choice of different fabrics and colors. Cherish has made a name in offering a variety of long and short dresses with a choice of short, long or sleeveless styles, different neck styles, and several color choices. With outerwear that ranges from long sleeve open closure cardigan to hi-low open cardigans, open closure vests, three-quarter kimono sleeve outerwear and draped loose fit cardigans, there is a world of choice for the contemporary woman. Cherish also has a wide variety of pants and skirts. It offers specials to the retailers from time to time and according to the season. Excellent Service, Rep was knowledge of order and items I needed to reorder.